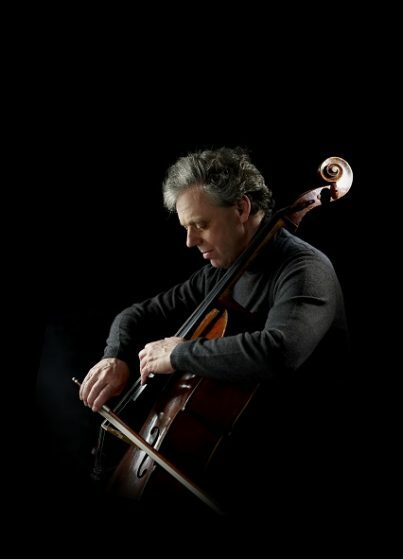 For more than 40 years it is hardly to imagine the music scene without the cellist from Augsburg. Not just because he is a splendid performer that has been titled “the Prophet of cello” (W.-E.v.Lewinsky) by the German newspaper Frankfurter Allgemeine Zeitung after his second recording of Bachs’ Cello-Suites: Julius Berger enriched the music world in diverse ways, as a performer, a teacher, an explorer and a thinker that doesn’t like beaten paths. Bergers’ formative teachers were Fritz Kiskalt (Munich, Germany), Antonio Janigro (Salzburg, Austria), of whom he was the assistant for many years, and Zara Nelsova (Cincinnati, USA) . He had close contact with Mstislav Rostropovich, where he took studies initially and with whom he had numerous concert afterwards. Important impulses for Berger’s artistic life came from collaborations with Leonard Bernstein, Olivier Messiaen, Sofia Gubaidulina and Gidon Kremer, who invited him numerous times to the Kammermusikfestival at Lockenhaus (Austria). Julius Berger is requested as a solist and an instrumentalist wordwide, recorded various CDs and educates young talents. A lot of his former students are already acting as professors or solo-cellists in well-known orchestras, e.g. the Leipziger Gewandhausorchester. That Julius Berger does not make a difference between the historical and the contemporary, but rather, in the sense of his teacher and friend Mstislav Rostropovich seeks the contact to living composers and promotes the emergence of new works by assignments and premieres certainly belongs to his great merits. Recent examples include works by Sofia Gubaidulina, Franghiz Ali-Zhadeh, Adriana Hölszky, Manuela Kerer, Krzysztof Meyer, Wilhelm Killmayer, Johannes X. Schachtner, Markus Schmitt, Giovanni Bonato, Hong Jun Seo, and others. In 2014 Julius Berger, together with his wife Hyun-Jung, they have premiered “Two Paths” by Sofia Gubaidulina for two violoncellos and orchestras at the “Seoul International Festival”. The work was performed as a European premiere at the Beethovenfest Bonn 2015. Julius Berger also made an important contribution to the literature of his instrument by rediscovering and recording the works of Luigi Boccherini and Leonardo Leo as well as the oldest literature for violincello solo by Gabrielli and degli Antonii. He is at the same time editor of most of the works in exemplary Urtext editions. Recently Julius Berger devoted himself mainly to researching the intellectual background of large standard works by Bach, Beethoven, Brahms and others. In his series “From the Idea to the Work” at the University of Augsburg, which he initiated, he develops language, sound, and historical references. For many years, Julius Berger has been the artistic director of the festivals in Eckelshausen (Germany) and Asiago (Italy) and President of the International Instrumental Competition Markneukirchen (Germany). In 2009, he was appointed a full member of the Academy of Sciences and Literature in Mainz. Julius Berger is looking for relaxation in the mountains. He is a passionate photographer and author of poems.